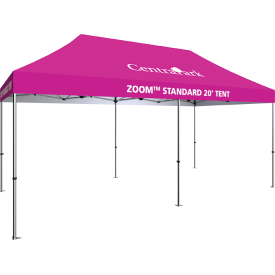 Easily make an impact at outdoor events with a durable, weather-resistant tent or tent accent. 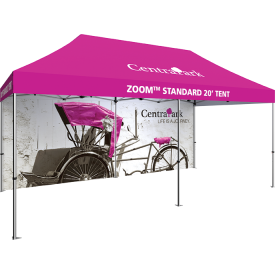 Available in a variety of sizes and styles including 10ft wide, 20ft wide, popup, inflatable and tubular, there is a tent to fit any need. 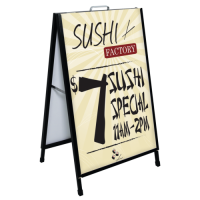 Messaging and branding is simple with the opportunity for custom printed graphics, and accents add additional messaging space to your outdoor display. 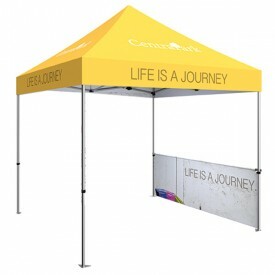 Tents and graphic walls allow for displaying at events in all weather. 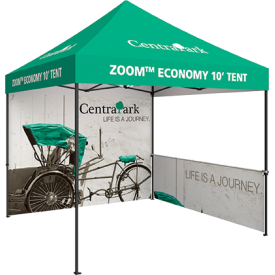 Browse the wide variety of outdoor display tents & accessories available! 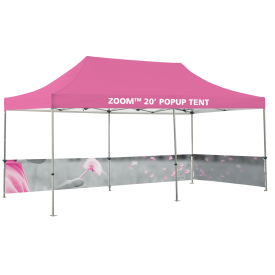 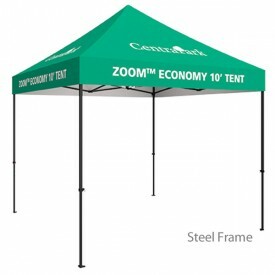 The Zoom™ Standard 10ft Popup tent features a lightweight, stable rust-resistant aluminum frame and is perfect for use at outdoor exhibitions, sporting events, concerts and more. 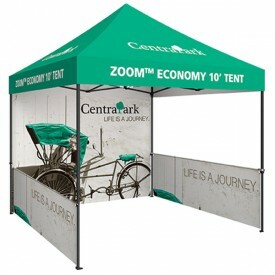 Canopies and sidewalls are made from durable polyester, and are water, .. 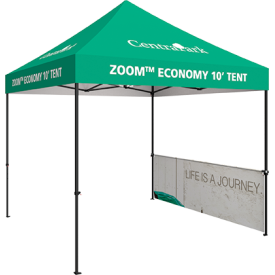 The Zoom™ Standard 20ft Popup tent is an ideal weather-resistant display for use at outdoor exhibitions, sporting events, concerts and more. 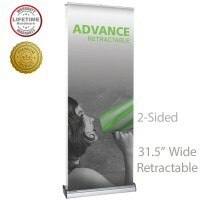 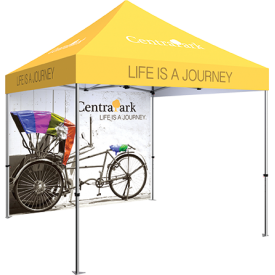 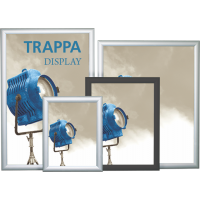 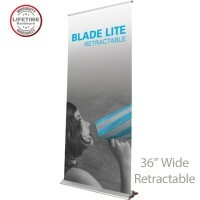 The rust-resistant aluminum frame is lightweight and stable, and vibrant stock and custom printed canopies ar.. 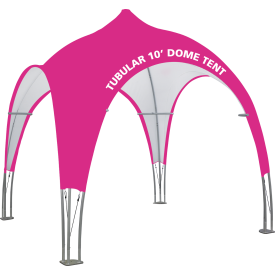 The Tubular 10 Dome Tent is a branding opportunity and attention getter at any outdoor festival, exhibition or event. 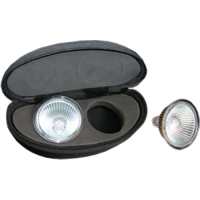 The Tubular Dome is constructed with 30mm silver anodized tubes and quickly assembles with snap button connectors. 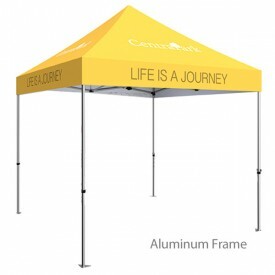 The canopy is cus.. 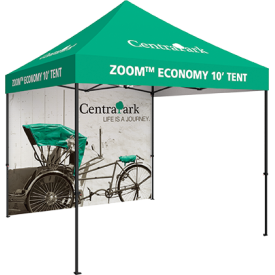 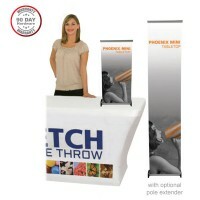 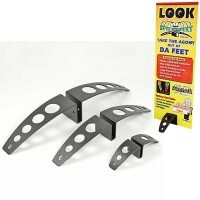 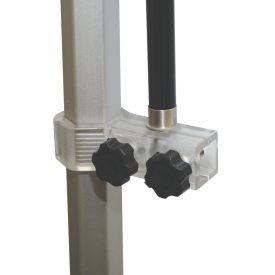 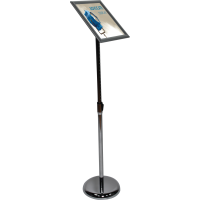 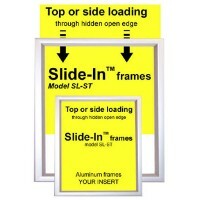 The Zoom Display Flag Accessory hardware easily attaches to any upright pole of the Zoom Pop Up Display Tent. 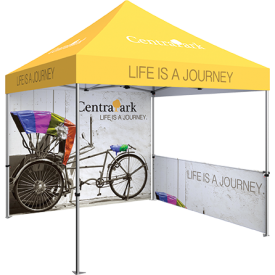 These flags provide the opportunity to increase visibility at a variety of outdoor events, and offer additional graphic space to compliment .. 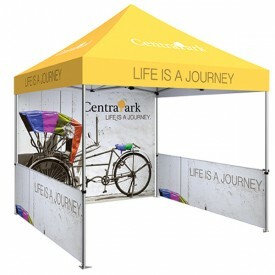 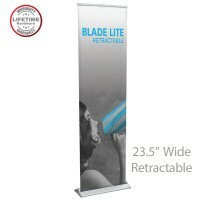 The Promotional Square Umbrella is an outdoor display that provides style and functionality. 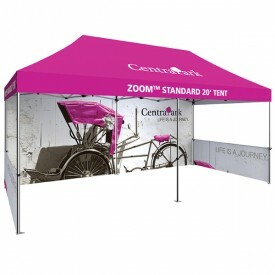 The umbrella features vibrant custom graphics that are water-resistant and long lasting. 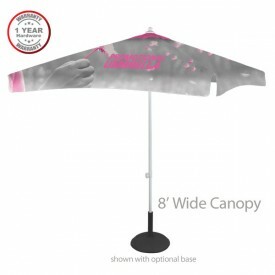 This durable umbrella provides shelter from outdoor weather elements..